Welcome to Barry and Paul’s World Cup Predictions Game 4 – the round of 16. The Group stages ended with a 1-0 defeat for England’s reserves against Belgium’s reserves. Perhaps this was all part of the Gareth Southgate master plan; that is to finish second and secure a place in the ‘easier’ side of the draw, who knows, and quite frankly who cares. The daily rags have an uncanny knack of talking England up or down, depending on how the mood takes them. Talk of who we’ll meet in the Quarters? Jeez, we might not even make them, one game at a time eh lads. Its Columbia (tut!) next, lets hope we can win, if not there will be a certain FF247 writer who will no doubt revel in our demise. On to the winners so far! In Group stage 1 it was our very own Cookie who led the way; 19pts – Kudos Blue! Second place was close; Jamie Mc with 18pts. Third spot was a tightly contested affair with Fieldy, Frenchie and Zed Leppelin all finishing with 16pts. 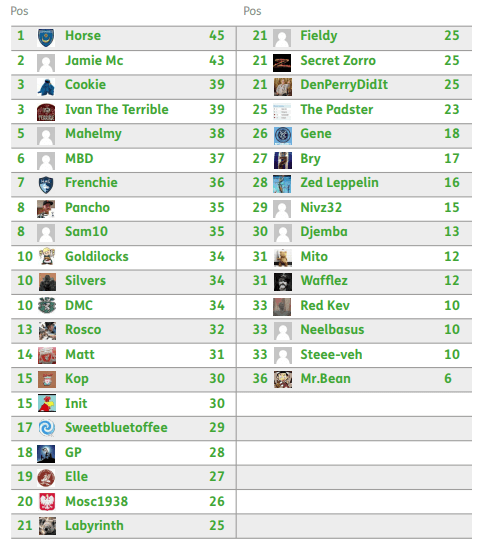 In Group stage 2 it was our resident MLS expert and FF247 ‘newbie’ Ivan the Terrible who showed us how its done; A massive 24pts, only Mahelmy and Horse came close; a tie with 21pts to share second spot. In Group stage 3 unexpected results meant a low scoring affair for our predictors, It was our very own DMC who came out on top with 13pts, Jamie Mc snatched second place with 11pts, our man down the pub Silvers taking third with 10pts. At the top of the table after Group Stages its Portsmouth’s favourite son Horse. He’s a dab hand at FPL, and so it appears he’s not too shabby at this predictions lark either. He’s there to be beaten, so keep those predictions coming in! Below you will find the fixtures for the Round of 16. 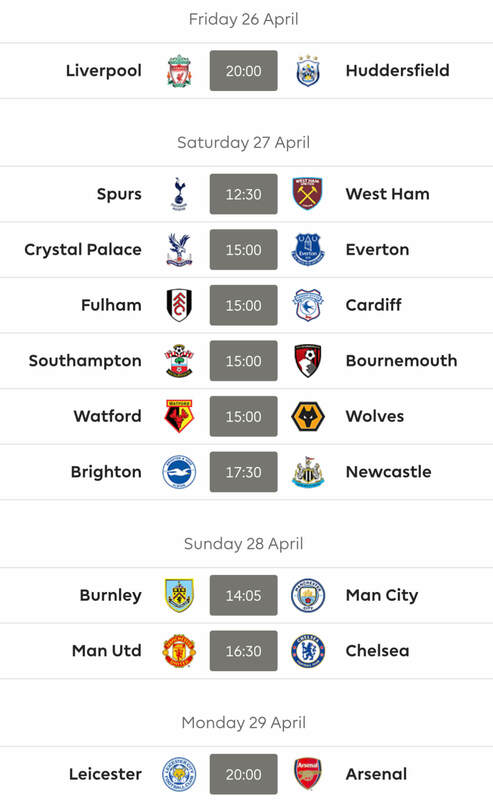 Cut and paste the fixtures into the comments, add your predictions at the end and tell us who you think will be the top scorer (as in player) in those fixtures. At the culmination of the Round of 16, prior to the Quarter Finals, we’ll post an update to the league table as well as the following rounds fixtures. 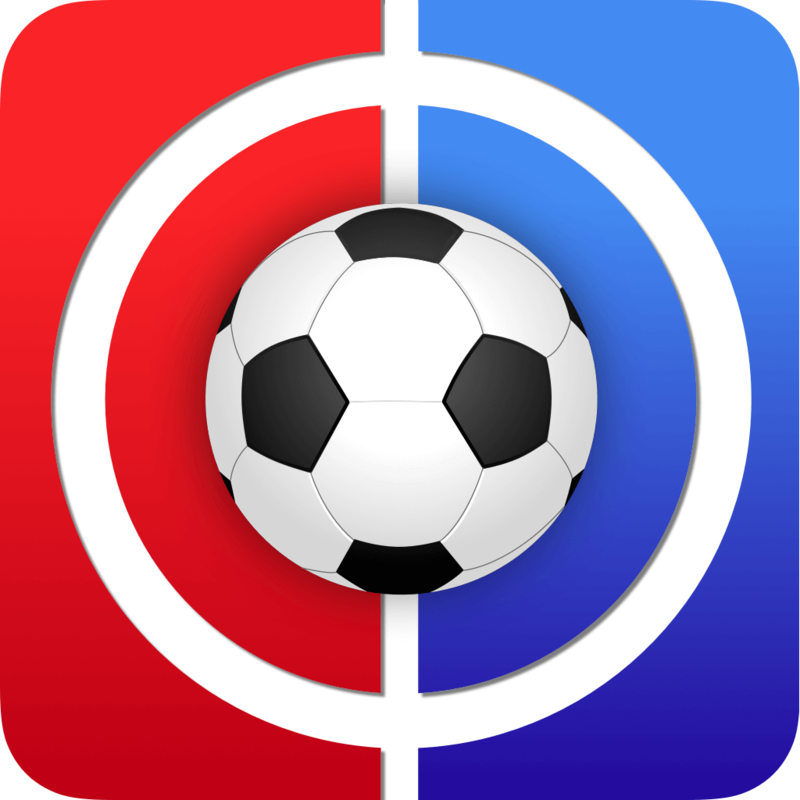 The rules are few; 1 entry per person, and all entries must be submitted prior to the first game of the group stages. So just to recap all you need to do is copy and paste the fixtures below, pop your score prediction at the end of each and then tell us who you think will be the top GOAL (not points!) scorer for those fixtures. Oh and if you say 1-0, you mean 1-0 to the home team. Not either team. Capiche? This article was written by Barry and Paul… aka Matt and Rusco. Wait, so were my 2nd Round predictions disqualified then? I got 20 points in that round. Bry’s attention to detail. It’s just 20 points man, let it go. Will let Matt know and we’ll be sure to correct any mistakes! Spoke to Matt and he said he missed them as they were posted after the deadline! He’ll add them on! Matt just makes them up doesn’t he?! Thanks Rosco ‘n’ Matt. Much appreciated! Of course mate! Great to have you onboard! Cheers Rosco. How are you sir? 3 straight points there.